On 31 May 1961, Benfica won their first European Cup, beating Barcelona 3-2. It was the first final for both teams and the first European Cup not won by Real Madrid. Since the first European Cup Final in 1956, Real Madrid had won it five straight times. But in the 1960-61 competition, they were eliminated in the first round by Spanish rivals Barcelona, who then advanced to the final with wins over Spartak Hradec Králové and Hamburg (the latter in a playoff). They had also beaten Lierse in the premilinary round. Benfica, meanwhile, reached the final with wins over Hearts, Újpesti Dózsa, AGF, and Rapid Wien. In the final, played before a crowd of 33,000 at the Wankdorf Stadium in Bern, Barcelona took the lead with a header from forward Sándor Kocsis in the 20th minute. But Benfica quickly rallied and were up 2-1 at the break thanks to a goal from captain José Águas (pictured) in the 30th minute and an own goal from Barcelona goalkeeper Antoni Ramallets (32'), who attempted to knock the ball away, but sent it off the bar and across the goal. Ramallets and the other Barcelona players argued that the ball did not cross the line, but the referee did not hesitate to award the goal. A powerful 55th-minute volley from inside-left Mário Coluna extended Benfica's lead and proved to be the decisive goal, as Barcelona left winger Zoltán Czibor pulled one back in the 75th minute to set the final margin at 3-2 in favor of the Portuguese. 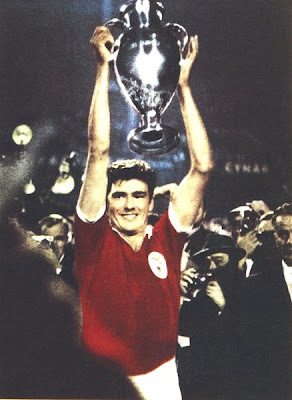 Benfica returned to the final six more times, but won it only once more, repeating as champions in 1962. Barcelona returned seven times, winning it in 1992, 2006, 2009, 2011, and 2015. On 30 May 2011, Swansea returned to the English top flight for the first time since 1983 by beating Reading in a promotion playoff. It was the culmination of a rapid rise through the lower divisions for Swansea, who were in League Two in 2005. They were promoted to League One for the 2005-06 season, then to the Championship for the 2008-09 season. Reading, meanwhile, returned to the Championship that season after a two-year spell in the Premier League. In the summer of 2009, Reading manager Steve Coppell resigned and was replaced by Brendan Rodgers. 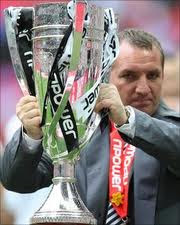 Rodgers lasted just over six months in the job before the club announced his departure by mutual consent in December 2009. Then, at the end of the season, Rodgers took charge of Swansea. In the 2010-11 season, he led Swansea to a third-place finish while Reading finished in fifth. The two teams advanced in the League One promotion playoffs to meet in the final at Wembley. There, playing before a crowd of over 86,000, Swansea roared to a 3-0 lead at the break with goals from Scott Sinclair (21' (pen), 22') and Stephen Dobbie (40'). A Swansea own goal four minutes into the second half closed the gap to 3-1, then Reading's Matt Mills scored in the 57th minute to bring Reading within one. That was as close as they got, though, as Sinclair completed his hat-trick with an 80th-minute penalty kick to seal the 4-2 victory. The win made Swansea the first Welsh team to play in the Premier League and they did well, finishing their first season there in 11th place. On 29 May 2011, DC United beat Portland 2-3, but not without a little penalty kick controversy. Portland, in their first MLS season, were hosting DC at Jeld-Wen Field. In the 64th minute, with DC leading 0-1, the referee awarded a penalty kick to Portland after defender Dejan Jaković dragged Portland striker Kenny Cooper down in the box. Goalkeeper Bill Hamid guessed correctly and blocked the shot, but was flagged for coming off his line too early. Cooper took the re-kick with Hamid blocking the shot again, but the keeper was once more flagged for coming off his line. Replays confirmed the linesman's call on both shots, though the second one was slightly more subjective, as Hamid's movement was relatively minor. For the third attempt, Portland replaced Cooper with Jack Jewsbury, who buried the kick to level the score. The ordeal turned out to be a minor footnote as DC won 2-3 after Chris Pontius converted a penalty kick of their own and Josh Wolff added a late cushion. On 28 May 1980, Nottingham Forest repeated as European Cup champions, making them the first team to win the tournament more times than their domestic league. 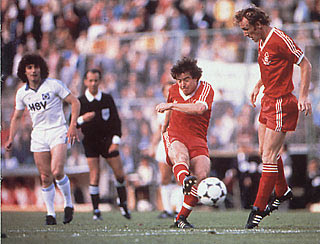 Forest won the previous tournament over Malmö, while Hamburg were making their first appearance in the final. Both had ousted prior champions in the semifinals, with Forest beating three-time winners Ajax 2-1 on aggregate and Hamburg eliminating six-time winners Real Madrid 5-3. The latter was particularly poignant, as the final was played at Madrid's home ground, the Bernabéu. Forest's Trevor Francis, who scored the winning goal in 1979, was out injured, but they found another hero in winger John Robertson (pictured). In the 20th minute, Robertson played the ball to forward Garry Birtles, who held it up under pressure, then sent it back to a charging Robertson, who fired it low to the keeper's left, just edging it inside the post. It turned out to be the winner as the game ended 1-0. It was part of a period of English dominance in the tournament, with Liverpool winning it in 1977 and 1978, Forest in 1979 and 1980, then Liverpool again in 1981 and Aston Villa in 1982 for six straight English wins. Hamburg broke the streak in 1983 when they returned to the final and beat Juventus 1-0. Labels: 1980 European Cup Final, Garry Birtles, Hamburger Sport-Verein e. V., John Robertson, Nottingham Forest F.C. On 27 May 2007, Pachuca won their fifth Primera División title, beating América 3-2 on aggregate in the Clausura final. Pachuca had a slightly easier road to the final than América; their semifinal opponent, Cruz Azul, whom they had beaten 3-1 in the first leg, was suspended for the second leg by the FMF for fielding an ineligible player. So Pachuca enjoyed some additional rest while América completed their semifinal victory over Guadalajara. 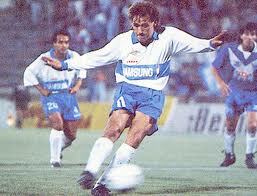 In the final, Pachuca hosted the first leg and won 2-1, with both of their goals coming from Juan Carlos Cacho. But in the second leg, América drew level on aggregate with a 69th-minute free kick from Cuauhtémoc Blanco. Then, with time winding down, Pachuca sent the ball into a crowded box where it somehow found its way through several América defenders to Cacho, who tapped in the winner. It was another victory in a tremendous eighteen-month period for Pachuca, who had already won that year's CONCACAF Champions League to go along with the previous season's Clausura and Copa Sudamericana and would go on to win the 2007 North American Superliga. On 26 May 1993, São Paulo repeated as Copa Libertadores champions despite losing the second leg of the final to Universidad Católica, 2-0. The Brazilians won the tournament for the first time in 1992, beating Newell's Old Boys on a penalties. For the 1993 final, they did their best to prevent going to another shootout, winning the first leg against Católica by the score of 5-1 (including an own goal by Católica defender Daniel López). The Chileans' only goal that day was a penalty kick by forward Juan Carlos Almada (pictured) in the 85th minute. In the second leg, played at the Estadio Nacional in Santiago, Católica did their best to overcome the deficit, going up 1-0 with a 25-yard blast from midfielder Ricardo Lunari in the 9th minute that beat the keeper to the top corner. Then, just six minutes later, the referee awarded a penalty kick to Católica and Almada again converted. The keeper, diving to his right, did well to get a hand to it, but the shot was too strong. Despite the rapid 2-0 lead, that would prove to be day's last goal, as São Paulo clamped down on defense and prevented Católica from narrowing the aggregate margin any further. It remains Católica's only appearance in the final, while São Paulo went on to win it for a third time in 2005. On 25 May 1934, a doctor's bag made a surprise appearance in a controversial derby between Peñarol and Nacional, nicknamed "the valise derby." The Montevideo rivals were playing in the final of the Copa Uruguaya. With the match scoreless, a Peñarol player sent in a cross that carried past the box and out of bounds. But the ball struck a medical bag belonging to the Nacional physio and rebounded back onto the pitch, when Peñarol put it into the back of the net. The Nacional players immediately protested the goal, with two of them getting sent off by the referee before he eventually disallowed it. The confusion delayed the game long enough that it could not be completed before dark, so the remainder of the match was postponed until 27 August. 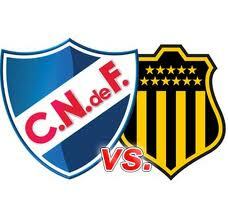 When they resumed, the undermanned Nacional held Peñarol to a draw, forcing a subsequent replay, which Nacional won 3-2. On 24 May 1927, three clubs merged to form Universitario de Deportes. Now known as Universidad de Chile, it is one of the country's most successful clubs with 18 league titles. The three clubs were Internado FC, Atletico Universitario, and Nautico Universitario, who agreed to merge in order to strengthen their candidacy for Chile's new national league, the Liga Central. The new club adopted Nautico's owl logo and originally played in the white shirts and blue shorts of Internado. But by 1930, they switched to the royal blue shirt that they use today. 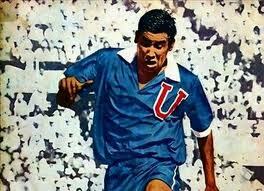 Shortly afterward, they became affiliated with the Universidad de Chile, then changed their name in 1934. They joined the Chilean Primera División in 1938 and won their first title in 1940. Their most successful period came between 1959 and 1969, when, led by striker Carlos Campos (pictured), they won six additional titles. They fell off in the 1970s and '80s, resulting in relegation to the second division in 1988, but they returned to the top flight in 1989 and proceeded to win another 11 titles, including their most recent, the 2017 Clausura. Their overall total of 18 is second only to Colo-Colo's 31. 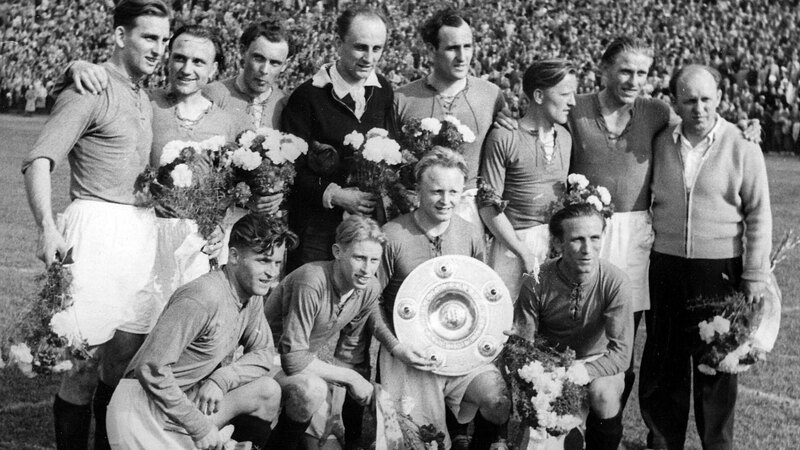 On 23 May 1954, Hannover won their second German championship, beating Kaiserslautern 5-1. And they did it with a little tactical advantage in footwear. Six teams--the five regional Oberliga champions and one runner-up--qualified for the German championship tournament and were split into two groups. The two group winners then contested the final, which was played at the Volksparkstadion in Hamburg. Before the match, eight of Hannover's eleven starters were given new Puma boots with a special feature--screw-in studs. Puma had been developing the technology for several years, first releasing the "Super Atom" model in 1951. When Kaiserslautern won the German championship in 1953, seven of their players wore the Super Atom. By 1954, however, Puma had developed an improved style dubbed the "Brasil" and Hannover quickly adopted the new boots. They must have been quite an improvement. Even though Kaiserslautern took a 13th minute lead, Hannover reeled off five straight goals to take the title with an overwhelming 5-1 victory (including one Kaiserslautern own goal from defender Werner Kohlmeyer in the 48th minute). It was their second title, with the first having come in 1938. After seeing the success of the Brasil, West Germany used the boot for their 1954 World Cup team which won the tournament over Hungary. Coincidentally, the German team included five members from Kaiserslautern side (including Kohlmeyer), but no player from Hannover. On 22 May 2011, a pair of goals from Spurs striker Roman Pavlyuchenko relegated Birmingham and set a new Premier League record. On the last day of the season, Birmingham went into their match against Tottenham in the table's seventeenth place, one spot above the relegation zone and level on points with eighteenth-place Blackpool and nineteenth-place Wigan. For Tottenham, the win kept them in fifth place and qualified them for the next season's Europa League. Pavlyuchenko's goal was the 1,063rd of the Premier League season, setting a new English scoring record for a 38-game season. The record was broken the following season, however, as Premier League teams scored a total of 1,066 goals. Labels: Birmingham City FC, Craig Gardner, Roman Pavylyuchenko, Tottenham Hotspur F.C. On 21 May 2005, Turbine Potsdam won their first UEFA Women's Cup, beating Djurgårdens 1-5 over two legs. It was the fourth edition of the tournament, which had been dominated by German and Swedish teams up to that point. Frankfurt were the first winners in 2002 over Umeå, then Umeå lifted the cup in 2003 and 2004 (the latter over Frankfurt). But Frankfurt did not qualify for the 2004-05 tournament and Umeå were eliminated by Djurgårdens in the quarter finals. The two teams met in Stockholm on 15 May for the first leg of the final, with Turbine Potsdam winning 0-2 with goals from their forward pairing of Conny Pohlers (34') and Anja Mittag (53'). In the second leg, played six days later before a crowd of 8,677 at the Karl-Liebknecht Stadion in Potsdam, the hosts quickly resumed their momentum, extending the aggregate lead to 4-0 in the first ten minutes with goals from striker Petra Wimbersky (2') and Pohlers (9'). Djurgårdens got one back in the 10th minute with a goal from Kristin Bengtsson, but Pohlers restored the margin with a 16th-minute strike, effectively ending the contest. Potsdam returned to the final in three more times (2006, 2010, 2011), and won it again in 2010. 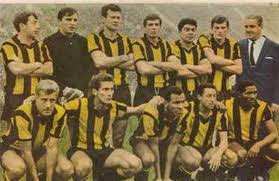 On 20 May 1966, Peñarol won their third Copa Libertadores, beating River Plate with two extra-time goals in a playoff. The Uruguayans were the most experienced side in the tournament's history up to that point, having appeared in three previous finals (as winners in 1960 and 1961 and as runners-up in 1963), while River Plate were playing in their first one. But the Argentine side reached it by beating the 1965 champions, Independiente, in the semifinal group stage. The final was scheduled for two legs, with the winner decided on points. 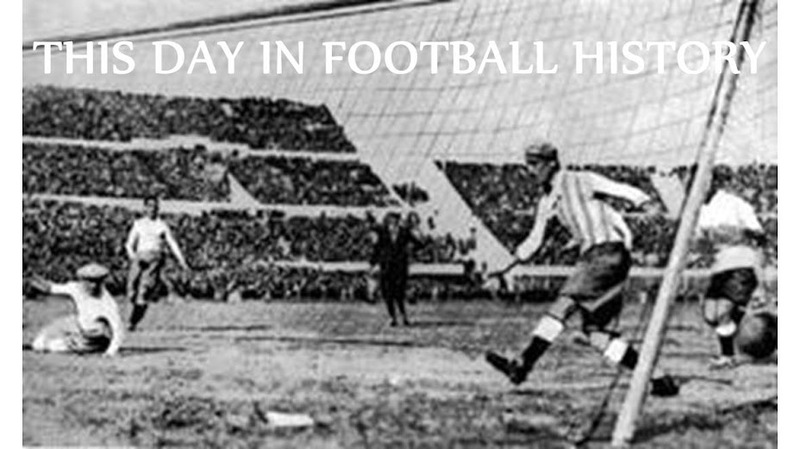 Peñarol won the first leg in Montevideo on 12 May by the score of 2-0, but River Plate rallied six days later to win 3-2 in Buenos Aires with a 69th-minute goal from midfielder Ermindo Onega to force a playoff match. Playing before a crowd of 40,240 in Santiago's Estadio Nacional, Onega struck twice in the first half (29', 42') to lift the Argentinians to a 2-0 lead. But Peñarol narrowed the margin in the 65th minute with a goal from striker Alberto Spencer, then drew level six minutes later with a River Plate own goal. Still 2-2 at the end of regulation, the match went to extra time, where Peñarol dominated. Spencer scored in the 102nd minute to take the lead, then forward Pedro Rocha found the back of the net in the 109th minute to cap the 4-2 comeback. On 19 May 1968, Iran won their first Asian Cup, beating defending champions Israel 2-1 in Tehran. In addition to being their first Asian Cup title, it was Iran's first time in the competition. They did not enter in 1956, they did not qualify in 1960, and they withdrew from the 1964 tournament, which was hosted and won by Israel. 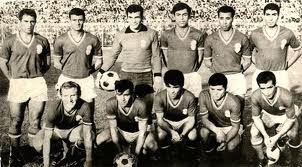 As hosts of the 1968 edition, Iran qualified automatically, but they quickly demonstrated their ability once the tournament began, winning their first three matches over Hong Kong (2-0), China (4-0), and Burma (3-1). Under the competition's round-robin format, the six points Iran earned from those wins were enough to clinch the title before they faced Israel, as Burma, their closest challenger, had already completed all of their matches and had only five points. Playing before a crowd of 30,000 at the Amjadieh Stadium, Israel jumped to a 56th-minute lead with a goal from midfielder Giora Spiegel, but Iran rallied with goals from striker Homayoun Behzadi (75') and midfielder Parviz Ghelichkhani (86') to win 2-1 and complete their perfect record of four wins in four games. Iran repeated as champions in 1972 and 1976, while Israel was expelled from the Asian Football Confederation in 1974, then joined UEFA in 1994. On 18 May 2011, Porto won their third trophy of the season under new manager André Villas-Boas, beating their Portuguese league rivals Braga in the Europa League Final. Villas-Boas had taken charge of Porto at the start of the season, having previously served as manager for the British Virgin Islands (1998-99) and Portuguese top flight team Académica de Coimbra (2009-10). In between, he served as an assistant for José Mourinho at Porto, Chelsea, and Inter. Returning to Porto as manager in June 2010, he guided the club to an amazing season that saw them win the Primeira Liga without losing a single game--they won 27 and drew three of their 30 matches (including two wins over Braga). They also won the Taça de Portugal. Their Europa League campaign was equally impressive, winning 11 of 14 matches on their road to the Final (they lost twice, once to Sevilla and once to Villareal, but advanced on away goals and aggregate score, respectively). In the Final, played before a crowd of 45,391 at the Aviva Stadium in Dublin, the tournament's top goalscorer, Falcao, grabbed his 17th strike of the competition in the 44th minute. It proved to be the match-winner, as the day ended 1-0 to Porto. It proved to be the last season at Porto for both the striker and his manager. Falcao moving to Atlético Madrid in August 2011 and had another successful season, scoring 36 goals in all competitions. Villas-Boas took charge of Chelsea in June 2011, but was sacked in March 2012 after a series of disappointing results. 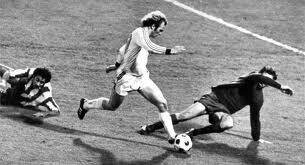 On 17 May 1974, Bayern Munich won the first of three consecutive European Cups, beating Atlético Madrid 4-0 in a replay. It was the first time in the final for both teams, who played to a 1-1 draw two days earlier, with both goals coming late in extra time to force a replay. They returned to the Heysel Stadium in Brussels on 17 May and did not have to wait long for Bayern to stake their claim to the trophy. In the 28th minute, forward Uli Hoeness (pictured) outraced the Atlético defenders to a long ball played out of Bayern's own half, then pushed the ball between the keeper's legs to open the scoring. Exactly thirty minutes later, his striking partner Gerd Müller, the Bundesliga's top scorer for six of the previous eight seasons, powered a shot into the top of the net from a tight angle. Müller extended the lead to 3-0 with another goal in the 71st minute. Not to be outdone, Hoeness got a second of his own in the 83rd minute to push the final margin to 4-0. It was the completion of a double for Bayern, who had just won their third straight Bundesliga title. They went on to win the tournament again in 1975, 1976, 2001, and 2013. On 16 May 1914, Brooklyn FC won the inaugural US Open Cup, beating Brooklyn Celtic 2-1. Originally called the National Challenge Cup, the tournament was established by the United States Football Association to compete with a similar competition started four years earlier by the American Amateur Football Association. 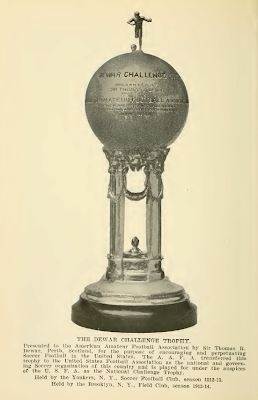 But while that tournament was limited to amateurs, the National Challenge Cup was open to all teams across the country, making the first truly national competition in the United States. While almost 300 teams received invitations, only 40 chose to participate. Most of those came from the northeast region, though Chicago was also represented. But, in the end, the final came down to a pair of teams from Brooklyn. They met at Coates Field in Pawtucket, Rhode Island, where a large local crowd turned out for the event. It took only three minutes for Brooklyn FC to take the lead with a goal from their captain, Percy Adamson, but Celtic equalized with a 27th-minute penalty from Thomas Campion. The match remained level deep into the second half, then, with three minutes remaining, FC pushed ahead again when James Ford found the back of the net to win the cup, known as the Dewar Trophy (pictured). It was part of a double for FC, who also won that season's NAFBL title. 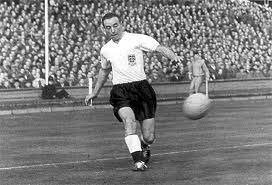 On 15 May 1957, Stanley Matthews made his last appearance for England, setting two national team records in the process. The occasion was a World Cup qualifier against Denmark in Copenhagen. When Matthews stepped onto the pitch, he was 42 years, 103 days old, making him the oldest player in national team history. It was the 54th national team appearance for the outside right, bookending a career that reached all the way back to 29 September 1934, when he made his debut in a win against Wales. 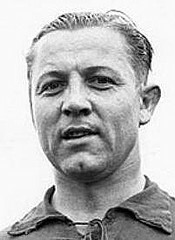 He would have had many more caps but for the intervention of World War II, which put a halt on international football for a seven-year period from 1940 through 1946. Still, his tenure of 22 years, 228 days remains the longest term of service for any England player. England proceeded to beat the Danes 1-4, virtually securing their World Cup berth with one qualifier remaining. But Matthews, despite having featured in each of the preceding qualifiers for the tournament, was not called up for the final one and retired from international football soon afterward. He continued to play at the club level, however, finally putting his boots away in 1965 at the age of 50. On 14 May 1948, Dinamo Bucureşti formed from the merger of two pre-existing clubs and has since gone on to become one of Romania's most successful teams. The two clubs that came together were Unirea Tricolor, winners of the 1941 national title, and Ciocanul, formerly known as Maccabi Bucureşti. In 1947, the new Communist government assigned control of both clubs to the Ministry of the Interior, who merged them into Dinamo Bucureşti. Both teams remained intact for the 1947-48 season, in which Ciocanul played as "Dinamo A" and finished eighth, while Unirea played as "Dinamo B" and were relegated. The new Dinamo maintained the eighth-place finish in their first season, 1948-49, but quickly rose to the top of the table, finishing as runners-up in 1951, 1952, and 1953 before winning their first title in 1955. They have since increased their collection of league titles to eighteen, second only to rivals Steaua Bucureşti's 26, though their most recent one came in 2007. In addition, they have also won the Romanian Cup thirteen times, most recently in 2012. On 13 May 2012, Juventus completed the Serie A season as undefeated champions with a 3-1 win over Atalanta. They had finished the previous season in disappointing fashion, taking seventh place in the final table. That prompted the sacking of manager Luigi Delneri, who had held on to the post for a little over a year. The club replaced him with former Juventus midfielder Antonio Conte, who had played there from 1991 to 2003 and who had ended the 2010-11 season by guiding Serie B side Siena back to the top flight. Juve made one other significant change over the summer, signing former Milan midfielder Andrea Pirlo as a free agent. Led by the combination of Conte on the touchline and Pirlo on the pitch, Juventus battled with Milan in a tight race for the Scudetto and finally claimed the title with an away win over Cagliari on 6 May. By that point, they had won 22 and drawn 15 of their 37 matches over the course of the season. One week later, with the championship firmly in hand, they completed their unbeaten season with the home win over Atalanta. It was the first time any team went undefeated over the course of a 38-game season and only the third undefeated Serie A season overall (Perugia did it over the course of 30 games in 1978-79 and Milan did it over the course of 34 games in 1991-92). Counting a draw on the last day of the 2010-11 season, the win stretched Juve's overall unbeaten league streak to 39. They extended it to 49 through the first 10 games of the 2012-13 season before finally losing to Inter on 3 November. Though impressive, it still fell short of the overall Italian league record of 58, set by Milan over the course of the 1990-91 to 1992-93 seasons. Labels: A.C. Perugia, AC Milan, Andrea Pirlo, Antonio Conte, Atalanta BC, Juventus F.C. 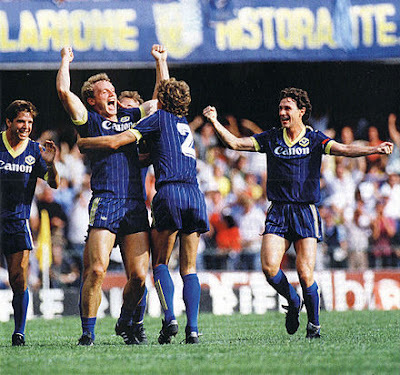 On 12 May 1985, Hellas Verona won their first and only Serie A title with a 1-1 draw against Atalanta. Founded in 1903, Verona joined the newly-formed Serie B in 1929 and took almost thirty years to reach the top flight for the first time, joining Serie A in 1957. Even then, it was for only one season, and they returned back to the second division in 1958. From 1968 on, they spent the majority of their time in the top flight, but rarely challenged for honors. But they began to show signs improvement in the early 1980s, finishing as Coppa Italia runners-up in 1983 and 1984 (added to their previous final appearance in 1976) and a fourth-place league finish in 1984, which was at the time the club's best position in the final table. That changed in the 1984-85 season. Led by their forward pairing of Preben Elkjær Larsen and Giuseppe Galderisi, Verona rose to the top of the table. By 12 May, they were ahead of Torino by four points with two games left for both teams. Because wins were worth only two points at the time, Verona needed only a draw at mid-table Atalanta to secure the Scudetto. Atalanta, however, refused to roll over and took the lead after only 16 minutes when defender Eugenio Perico scored a header from a cross. Unshaken, Verona drove forward in search of an equalizer and finally got it in the 51st minute when Elkjær scored with a dramatic volley. That proved to be enough, as the game ended 1-1, making Verona the Serie A champions. 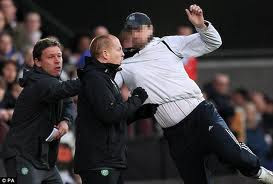 On 11 May 2011, with Celtic leading Hearts 0-2 at Tynecastle, manager Neil Lennon was attacked by a home supporter. Since taking charge of Celtic in 2010, Lennon had attracted more than his fair share of unwanted attention, receiving bullets in the mail in January 2011, followed by an attempted letter bombing in March. While religious sectarianism seemed an obvious motive given its history in Scottish football, authorities believed the incidents were more likely fueled by sports rivalries. When Celtic visited Tynecastle to play Hearts for their penultimate game of the season, they were trailing Rangers by four points, but had a game in hand. Hearts, meanwhile, were in a distant third, having already lost twice to Celtic, 3-0 and 4-0. The third match in the series followed the pattern of the first two, with Celtic going up 0-2 in the 49th minute thanks to Gary Hooper's second goal of the day. It was at that point that Hearts supporter John Wilson jumped the barrier and tried to attack Lennon, but was quickly wrestled to the ground by a combination of police and stewards, then apprehended. Celtic went on to win the match 0-3, but ended up finishing in second by a single point. Wilson was later convicted of breaching the peace and received an eight-month jail sentence. On 10 May 1930, England and Germany met for the first time in a full international, playing to a 3-3 draw in Berlin. Unofficial representative teams for the two countries played twice in 1899 with England dominating both matches, 13-2 and 10-2. Shortly afterward, England played two matches against combined German and Austrian teams and won both, 6-0 and 7-0. But their trip to Berlin in 1930 was their first meeting since the establishment of an official German team in 1908. The game looked likely to follow the pattern of those earlier meetings when England went up 0-1 with an 8th-minute goal from Joe Bradford, but Germany's Richard Hofmann (pictured) brought the hosts level in the 21st minute. The two traded goals again as Bradford put England back in front in the the 31st minute and Hofmann scored another equalizer eighteen minutes later. He then completed his hat-trick in the 60th minute to give Germany the lead. They held it for twenty minutes until David Jack found the net to finish the game 3-3. Since then, the two teams have formed a fierce rivalry, including England's famously controversial win over Germany in the final of the 1966 World Cup. On 9 May 1945, striker Josef "Jupp" Heynckes was born in Mönchengladbach where he went on to become his home team's all-time top scorer. 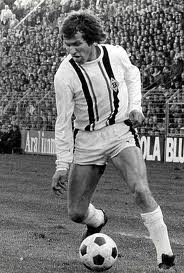 Heynckes made his professional debut in 1964 with Borussia Mönchengladbach, then in the second-tier Regionalliga West. But his 23 goals in 25 league appearances that first season helped the club earn promotion to the Bundesliga for the following season. He played only two more season there before transferring to Hannover in 1967. He did well at Hannover, scoring 35 goals in three seasons, but returned to Gladbach for the 1970-71 season which ended with them as league champions. Additional titles followed in 1975, 1976, and 1977--along with the 1975 UEFA Cup--as Heynckes established himself as one of the world's premier strikers. He was the league's top scorer in 1974 and 1975, with 30 and 29 goals, respectively. He retired from playing in 1978 having scored a club record total of 292 goals in 400 appearances for Gladbach (plus another 35 in 101 appearances for Hannover). He moved immediately into management, taking charge of Gladbach from 1979 to 1987, then again from 2006 to 2007 . His resume includes a long list of other teams, including Athletic Bilbao (twice), Schalke, Benfica, and Real Madrid (with whom he won the Champions League in 1998). He had three separate stints in charge of Bayern Munich, where he won three Bundesliga titles (1989, 1990, and 2013) and another Champions League trophy (2013). 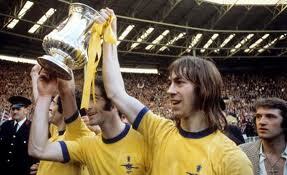 On 8 May 1971, Arsenal completed the Double with an extra-time win over Liverpool in the FA Cup Final, 2-1. They had taken the league title five days earlier with an away victory over Tottenham Hotspur at White Hart Lane, then met Liverpool at Wembley. The two teams had split their two league meetings that season, with each team winning 2-0 at home. A capacity crowd of 100,000 watched as they played the first 90 minutes to a scoreless draw. Liverpool controlled the better part of the first half, but were unable to beat Arsenal keeper Bob Wilson, while his Liverpool counterpart, Ray Clemence, denied a handful of chances at the other end. In the second half, the hot sun began to take its toll as both sets of players began to suffer cramps and fatigue. The best chance of the half came in the 77th minute, when Arsenal midfielder George Graham sent a header off the post. But it was Liverpool who took the lead in just the second minute of extra time, as left winger Steve Heighway fired the ball past Wilson from the edge of the penalty area, beating the keeper at the near post. Just nine minutes later, though, Arsenal leveled the score after striker John Radford, facing away from goal, sent a speculative ball over his head and into the area, where Arsenal substitute midfielder Eddie Kelly got to it and prodded it toward the goal. At the time, it appeared that Graham took the last touch before the ball crossed the line, but replays later confirmed the goal as Kelly's, making him the first substitute to score in an FA Cup Final. Then, in the 111th minute, Arsenal striker Charlie George delivered the winner with a right-footed blast from outside the penalty area. It was Arsenal's fourth FA Cup, but their first since 1950. On 7 May 2011, Real Madrid winger Cristiano Ronaldo scored one of the fastest hat-tricks in club history as they beat Sevilla 2-6. The match came on the heels of Madrid's loss to Zaragoza, which kept them eight points behind league leaders Barcelona with four matches remaining, so they had something to prove. Sevilla were no pushovers, sitting in the table's sixth spot, but they were no match for Madrid on the day. Playing at Sevilla's Ramón Sánchez Pizjuán Stadium, the visitors were already up 0-3 at the break with goals from Sergio Ramos (21'), Ronaldo (31'), and Kaká (42'). Sevilla striker Álvaro Negredo scored first in the second half (61'), but then Ronaldo delivered his record-breaking performance. In the 65th minute, he intercepted a pass at the top of the Sevilla box, beat one defender, then fired the ball past the keeper from close range. Five minutes later, he beat the keeper again from inside the box after a pass beat Sevilla's offside trap. In the 75th minute, he latched on to a long cross and volleyed the ball home from just a few feet away. In all, the three goals encompassed a span of just over 10 minutes, two minutes shy of the club record of 8 minutes, set by Pepillo in April 1960 against Real Sociedad. The flurry extended Madrid's lead to 1-6, though Negredo scored once more to end the day at 2-6. In an unusual coincidence, Madrid duplicated the scoreline in their next visit to the Sánchez Pizjuán in December 2012 with three more goals from Ronaldo. Ronaldo subsequently matched Pepillo's record with an 8-minute hat-trick against Granada in April 2015. Labels: Álvaro Negredo, Cristiano Ronaldo, Kaká, Real Madrid C.F., Sergio Ramos, Sevilla F.C. 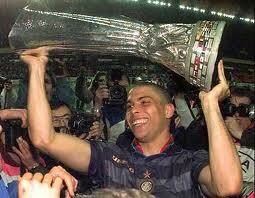 On 6 May 1998, Inter won their third UEFA Cup, beating Serie A rivals Lazio 3-0. There had been three previous all-Italian UEFA Cup Finals, including Inter's first win in 1991 when they beat Roma. They won it again in 1994 over Casino Salzburg and returned to the Final in 1997, but lost to Schalke. Lazio, meanwhile, were making their first appearance in a Final. For the 1998 edition, UEFA abandoned their previous two-legged format for a single match, which was played at the Parc des Princes in Paris. A crowd of 44,412 turned out to see the teams face each other for a third time that season--Lazio had gotten the better of Inter in the league, drawing 1-1 in Milan and winning 3-0 in Rome. But Inter wasted little time in staking their claim to the UEFA Cup, going up 1-0 when forward Iván Zamorano beat Lazio keeper Luca Marchegiani from close range in just the 5th minute. Zamorano nearly doubled the lead shortly after the break, but his shot rebounded off the post. Center back Javier Zanetti did doubled the lead in the 60th minute with a blast from outside the box that curled into the top right corner of the net. Ten minutes later, Inter's record signing Ronaldo (pictured) capped the victory by beating Marchegiani with a dribble, then rolling the ball into the empty net. It was Inter's last European trophy until they won the Champions League in 2010. On 5 May 2002, Juventus completed a remarkable run to the Serie A title, thanks in part to a season-end collapse by Inter. It was the last day of the season and Inter had been at the top of the table since 24 March. On 30 March, they had a six-point lead over Juventus, who were then in third, with Roma in between. But Juve went on an unbeaten run to climb into second, while an Inter loss to Atalanta and draw with Chievo saw their lead shrink to a single point. Roma had dropped to third, but were separated from the top by only two points. All three teams were away for their final matches of the season, Inter at Lazio, Juventus at Udinese, and Roma at Torino. In his pre-match conference, Roma manager Fabio Capello took a fatalistic approach to the day, saying that he expected all three teams to win, leaving the table unchanged. As it turned out, he was two-thirds correct. Both Juventus and Roma went on to win--0-2 and 0-1, respectively--but Inter fell hard to Lazio. Despite taking a 1-2 lead in the first half, they went into the break level at 2-2, then surrendered a pair of second-half goals to fall 4-2. The results pushed Juventus into first, Roma into second, and Inter into third. 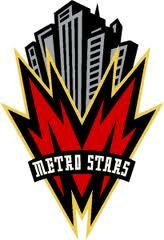 On 4 May 1996, the New York/New Jersey MetroStars got their first win, beating the Tampa Bay Mutiny in a shootout. Playing in the inaugural MLS season, the MetroStars lost their first three matches before hosting Tampa Bay at Giants Stadium, where a crowd of 38,621 turned out to see the debut of new MetroStars midfielder Roberto Donadoni, who had just moved from AC Milan the previous week. They were missing first-choice keeper Tony Meola, however, who was replaced in goal by Zach Thornton. After a scoreless first half, Tampa Bay started the second in blistering form, taking a 3-goal lead with a brace from striker Diego Viera (51', 58') and a penalty kick from midfielder Carlos Valderrama (55'). But they extended a lifeline to the MetroStars by scoring two own goals in just over one minute as Evans Wise found his own net in the 72nd minute, then Martin Vasquez did the same just 59 seconds later. MetroStars striker Giovanni Savarese completed the comeback in the 75th minute with his team's first goal of the day. With the match level at the end of regulation, MLS rules required a shootout. Each team got five attempts, with the shooters starting 35 yards out, then having five seconds to take their shot. Ruben Hernandez and Tab Ramos scored for the MetroStars, while only Valderrama found the net for Tampa Bay, giving the hosts the victory. Tampa Bay went on to have the league's best record at the end of the regular season, but lost to DC United in the MLS Playoffs, to end the year without an official trophy (though they did claim the fan-created Supporters' Shield).